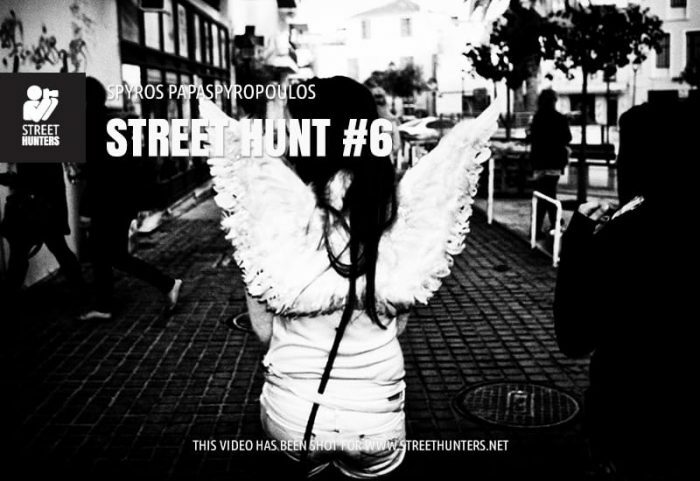 Home Tags Posts tagged with "street photography videos"
This Street Hunt has been shot during the Carnival Day which is considered by many as the most amazing, most crazy day in Rethymno, my home town. In the video I start in the late afternoon around 1 hour before sundown and continue an hour into the night, following the excitement all the way until the end of the Carnival at the grand bonfire and the fireworks. During the video you will notice that the streets are completely packed with people dressed in all sorts of costumes. I try to blend in and take some photos of everyone having fun but I also look for people that are out of place. I always find “out of place” individuals very interesting and if I can, I try and snap them. In this video you will see lots of laughter, mini parties, joy, funny faces and crazy stuff! You will experience Intrusive Street Photography with a Flash see how amazing this style of Street is. I am not an expert in this style, I have only practised it a few times, but I really push myself this time, mostly because people during Carnival day are more loosened up and don’t mind having a flash stuck in their face and being photographed. In the video I use my APS-C Sony NEX-6 with various settings, depending on the situation but mostly Flash on, a narrow aperture and Manual Focusing with zone focusing. I have pre-focused at about 1m (3 feet) so everything from around 50cm to 2m is in focus mostly. I have added annotations in the video to make sure that I communicate those settings to you all. There is lots of noise and confusion, so I think the annotations will help. The lens I use is a 20mm f2.8, equivalent to 32mm full frame. Zone focusing works with this focal range better. Larger focal ranges are harder to zone focus. 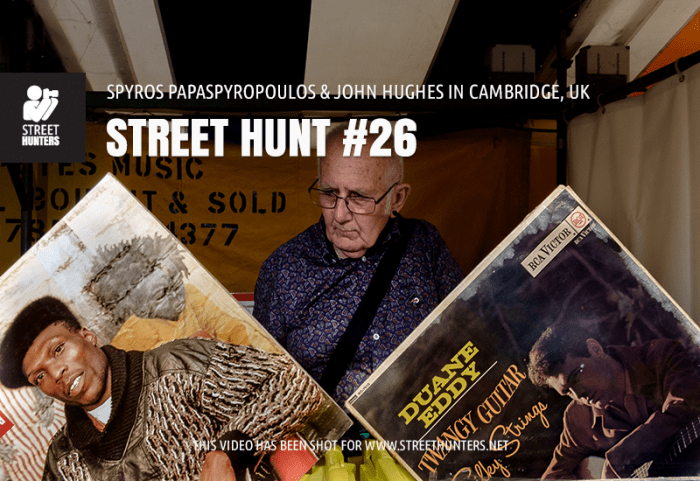 So, stick around, sit down, relax, grab a piece of pizza or whatever makes you feel comfortable and enjoy this month’s paranoid Street Hunt! 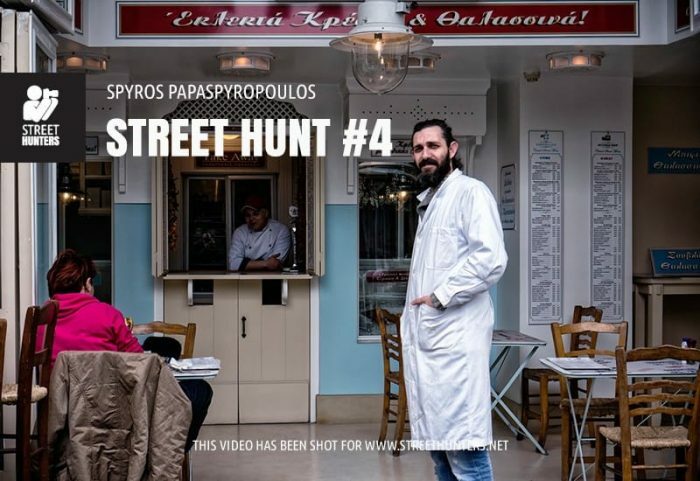 The Street Hunt that I will be guiding you through today is very interesting and unique in it’s own very special way. Why you might ask? 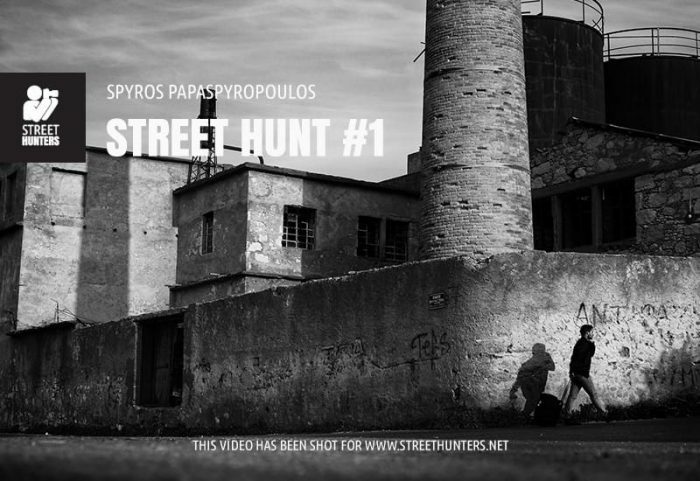 Well, the Street Hunt No 5 has been shot during the night of Tsiknopempti. Ok, so what is Tsiknopempti and how to I pronounce that word? Ha! Well it is the one day the year that people of Greece celebrate by eating only grilled meat! So, on a typical night like this, the streets are packed with people, that are mostly drunk and stuffed with grilled food. In the air there is the smell of grilled chicken, grilled pork, souvlaki, sausages, you name it! Everyone is happy, everyone is excited and everyone is enjoying themselves! Laughter, parties, joy! All the things that let people loosen up and let a Street Photographer like me take their photos with ease. Some even ask to have their photos taken. It is just great! But that isn’t the only thing that goes on during this night. Because Tsiknopempti is the last Thursday before the official Carnival day, people are already warming up for Carnival Sunday by walking in the streets dressed in funny costumes! Those costumes, add to the fun and excitement and help the people loosed up even more. In the video I use my APS-C Sony NEX-6 with various settings, depending on the situation. This time I have added annotations in the video to make sure that I communicate those settings to you all. Because of the night this is shot, there is noise and confusion, so I think the annotations help. The lens I use is a 35mm f1.8, equivalent to 50mm full frame. I love this lens because it is perfect for nearly any situation. So, stick around, sit down, relax, grab a bowl of pop corn, or whatever makes you feel comfortable and enjoy this month’s crazy Street Hunt! This time around instead of writing a blog post about Street Photography, I will show you a video that I recorded. 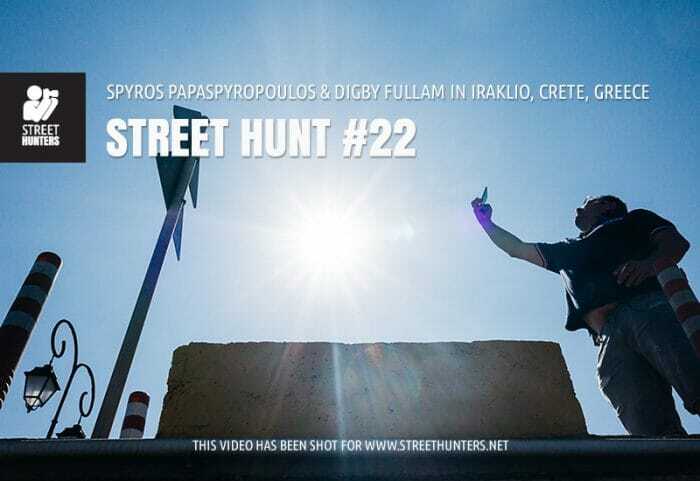 This video is the first official Street Hunters “Street Hunt”! In other words it is just me walking around, talking a lot and shooting photos! As you will see in the first minute of the video, I have purchased a small Hot Shoe to Tripod adapter or accessory. So, using that thing I have managed to connect my old beat up Flip Camera to the hot shoe of my NEX-6. That way anything my camera sees, the Flip Cam sees and records while I am on the move. 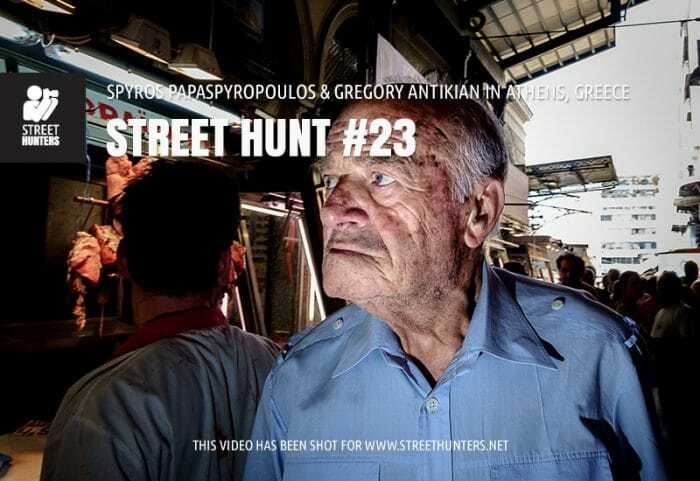 Watching this video you will get a hands on Street Hunt experience as seen through my eyes and processed through my senses. You will see what I decide to photograph, listen for what reasons I take my photos and how my images finally turn up. 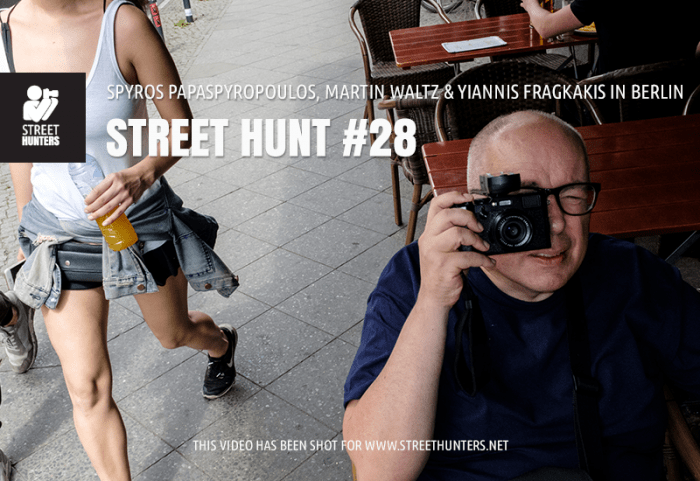 The photos that have been made during this Street Photography walk are not all high quality photos that I would easily share in Social Media, but they are part of the experience of this Street Hunt so I am sharing them happily with you. Some of these photos, at least two that I can think of, will be shared as photos in future posts of mine for Street Hunters.